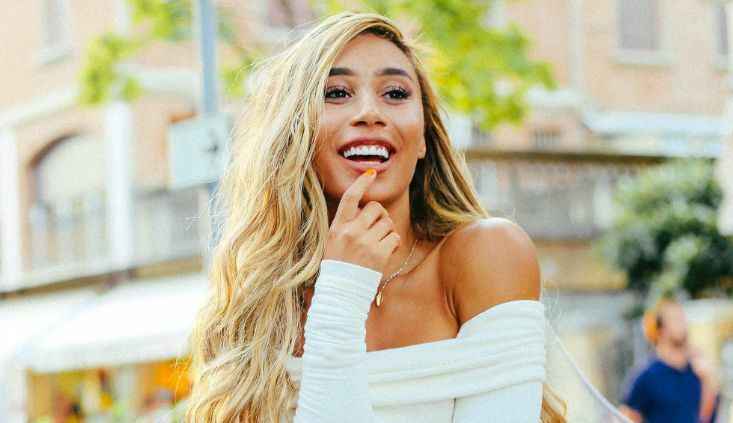 Eva Gutowski is an American YouTuber who is best known for her channel “MyLifeAsEva” on which she has over 9 million subscribers. She was named Billboard’s Social Media Stars list. She has appeared in TV shows and web series like Escape the Night, Me and My Grandma and All Night. Eva was born on 29 July 1994, in Brea, California, United States. She is currently 24 years old. Gutowski attended California State University at Fullerton and graduated with a degree in broadcast journalism. 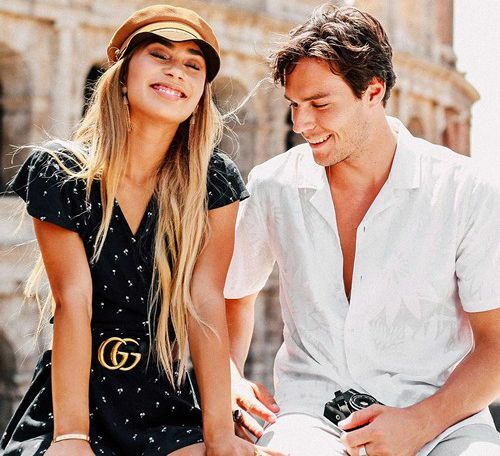 Eva Gutowski has been dating photographer Adam Bartoshesky since 2016. She confirmed it to her social media fans last December and even went on for a vacation with her boyfriend. She posted all of her blissful moments from her vacation to her Instagram account. Before that, she has had been in a relationship with Andrew Kingsbury. Not long after dating him in mid-2014, she broke off with him in March 2015. Then, she Instagram star dated Alex Hayes for a few months in 2016. Her dress size is 2 (US). The budding talented YouTuber actually aspired to become a star in showbiz but ended up as a YouTube star. She launched her YouTube channel “MyLifeAsEva” on 24 July 2011. She posts beauty and fashion and amazing DIY videos. Some of her popular videos are “Literally My Life”, “How To Survive High School: Your First Relationship”, “High School You vs. child You!”, “Night Rouine Guys Vs. Grils”, amongst others. In September 2015, she joined Meredith Foster, Meghan Rienks, and Alisha Marie for Girls’ Night In, which was first all-female social media stars tour. She is yet to appear in films. In 2015, Eva was cast of a comedy reality series, YouTubers React. Gutowski has appeared in a television commercial for Chevrolet and has been affiliated with cosmetics and haircare brand, Proactiv. Along with her high-profile endorsement deals, she also promotes brands and products through her YouTube videos. Eva has accumulated a net worth of $600 thousand dollars. Her earnings include ad revenue, endorsement deals, sponsors, acting, modeling, and many others. She currently lives with her family in California. Eva had to go through a difficult time when she was in her 8th grade as her mother lost her job and had to live in a single bedroom flat. She launched her YouTube channel during her college freshman year. She worked at a pizza restaurant before her joining YouTube. She then quit her job after becoming popular on YouTube. Gutowski declared that she’s a bisexual through a video in August 2016. She is part of the 30 minutes single-camera series ‘Me and My Grandma’ on YouTube Red. In February 2017, she published her autobiographical book, My Life as Eva: The Struggle is Real, in which she talked about her success and effect it has had on her life. Eva was sexually assaulted when she was sixteen. She posted a video entitled I Am a Victim of Sexual Assault in which she addresses the experience. Eva ranked #4 in Variety’s Famechangers Digital Star Ranking list and also placed in the list of YouTube’s fastest growing star by People Magazine. She has also been included in Billboard’s Social Media Stars list. In August 2017, MTV announced that she would join the recurring cats of the overhauled program, Total Request Live along with fellow YouTubers, Gabbie Hanna and Gigi Gorgeous. She has a dog named Hanalei Bartowski, which is on Instagram has more than 231k followers. Her immense popularity on social media platforms can be attributed to her incredible persona, aspiring talents, and amazingly budding confidence. She has over 8.2 million subscribers on YouTube, 5.5 million followers on Instagram and 4.72 million followers on Twitter.